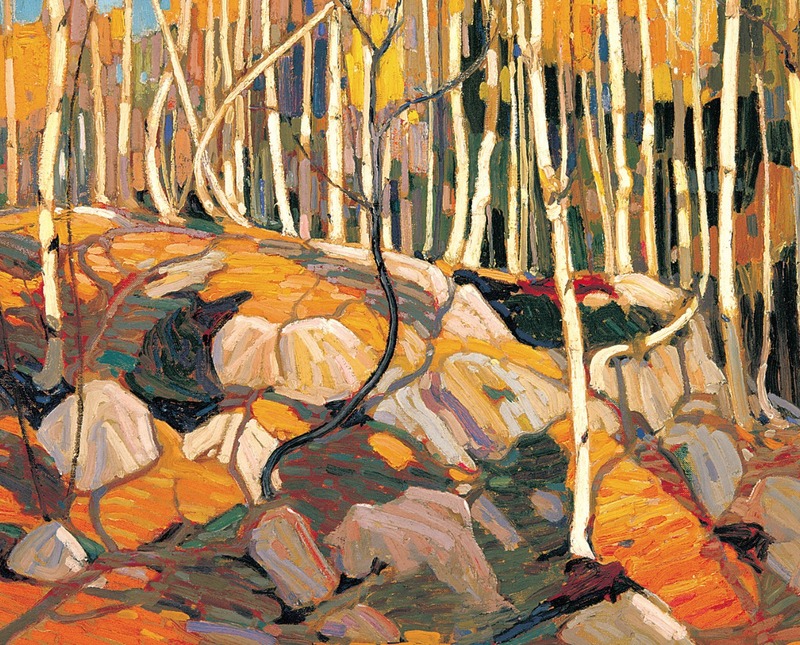 Home to outstanding works by Tom Thomson and the Group of Seven, Emily Carr, Alex Colville, James Tissot, Gustave Doré, Puvis de Chavannes, Michael Snow, Norval Morrisseau and Keith Haring, to name just a few, the Art Gallery of Hamilton has one of the best permanent collections in Canada. At 103 years old (1914-2017) the AGH is Southwestern Ontario’s oldest and largest art gallery/museum. The AGH is celebrating Canada’s sesquicentennial with the opening in June of three compelling exhibitions of significant Inuit art including Carving Home: The Chedoke Collection of Inuit Art; Kenojuak Ashevak & Tim Pitsiulak: Drawing Life, and Barry Pottle: The Awareness Series. 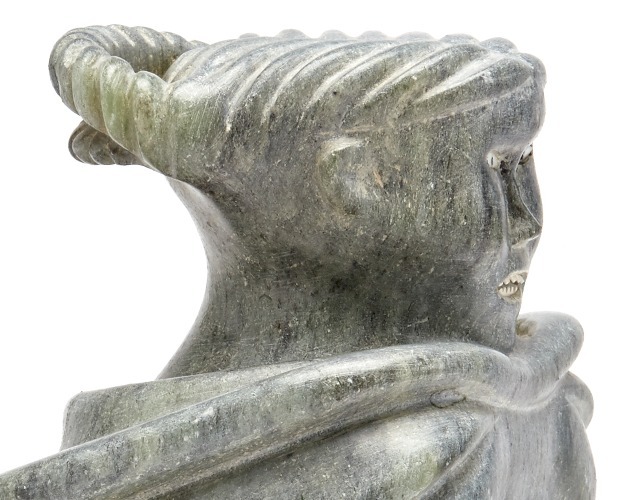 The Chedoke Collection of Inuit Art is one of national significance. The works were created by Inuit artists during their recovery from tuberculosis at the Mountain Sanatorium (known more recently as Chedoke Hospital). The Mountain Sanatorium has an important ethno-history as Canada’s largest and principal hospital treating Inuit people with tuberculosis in the 1950s and 1960s. Kenojuak Ashevak & Tim Pitsiulak: Drawing Life presents some never-before-exhibited drawings from an impressive and extensive private collection, by two giants of Inuit art whose work resonates deeply across Canada and internationally. Barry Pottle’s Awareness Series considers the difficult history of the Eskimo Identification Tag System. Federal authorities issued numbered discs to Inuit men and women across the Western and Eastern Arctic from 1941 to1978. Pottle probes this history of objectification by presenting images of the discs alongside contemporary portraits of individuals enrolled in the disc system – effectively bridging the gap between the numbers and the people. Hamilton’s professional theatre stages six mainstage productions each season in its auditorium at theDofasco Centre for the Arts. Productions by emerging regional playwrights are featured in the studio theatre. The remaining show this season is Mamma Mia, on until May 14. Next season’s productions will include A Few Good Men and a mystery musical to be revealed Sept. 5. One of the most popular Theatre Aquarius traditions is a fundraising play put on by Hamilton’s lawyers. The theatre hosts professional development groups and events for playwrights, performers and students. A popular theatre school for children and youth has launched many professional careers in the arts. The HPO is at home on the stage of the FirstOntario Concert Hall (formerly Hamilton Place) but finds many ways to bring orchestral music to a broader audience. Chamber groups and soloist HPO performers perform in local churches, contemporary concert venues, art galleries and the Hamilton Central Library. Its Indie Series pairs emerging local artists with HPO musicians for cross-genre concerts and the What Next Festival May 11 to 21 is dedicated to contemporary Canadian composers in honour of the country’s 150th birthday. The HPO brings students and seniors to rehearsals, offers special events to patrons under 35 and offers a pre-concert Inside the Music series for ticketholders.